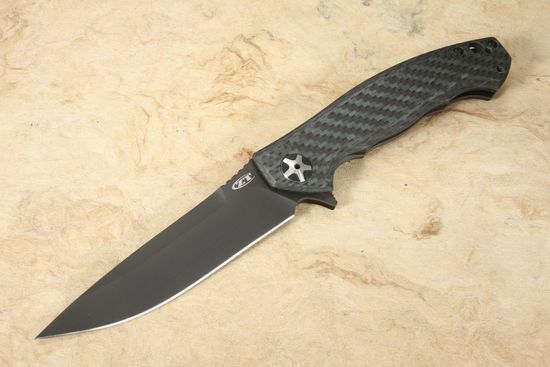 Based off the original, limited edition Zero Tolerance 0454GL knife designed by the award-winning knife designer Dmitry Sinkevich, the new Zero Tolerance 0452GL Sinkevich Design Folding Knife with flipper maintains the original elegance and strength, with improved performance and strength- brought out in 2015. 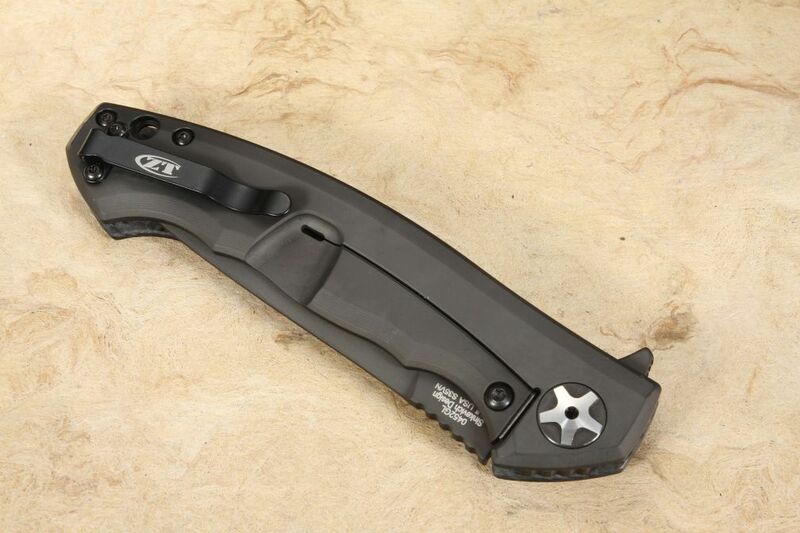 Proudly made in the U.S.A.
Like the original knife, the ZT 0452GL has a blade length of 4.1 inches and 0.16-inch thickness for all occasions. 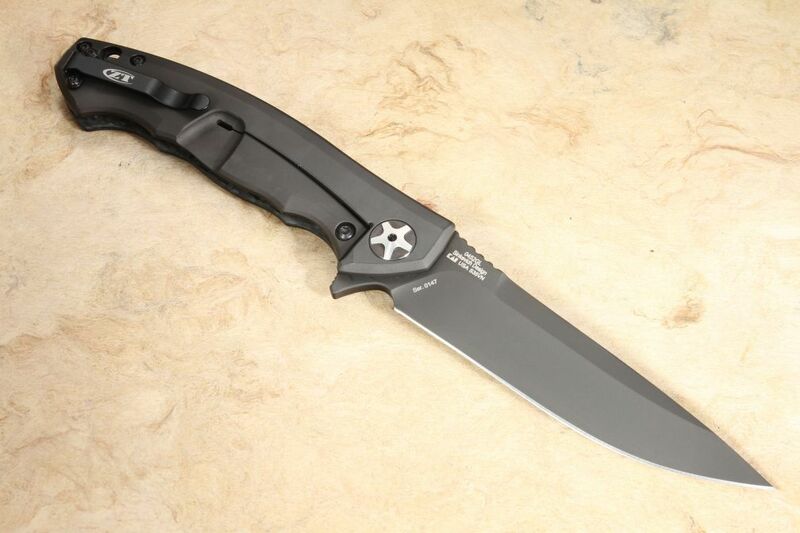 The Crucible stainless S35VN powdered steel, black DLC coated blade; the S35VN enhances the toughness of the blade through continuous wear while retaining a sharp edge without fear of chipping. 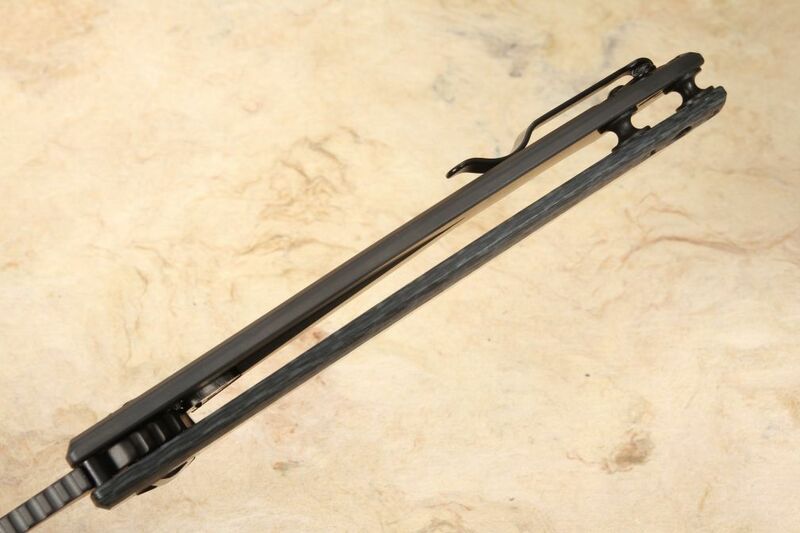 The blade has a Rockwell hardness of 60-62. Paired with the KVT ball-bearing system (a 5-spoke pivot) with manual flipper, the blade rotates out smoothly and efficiently each and every time with either hand and stays locked into position for use. 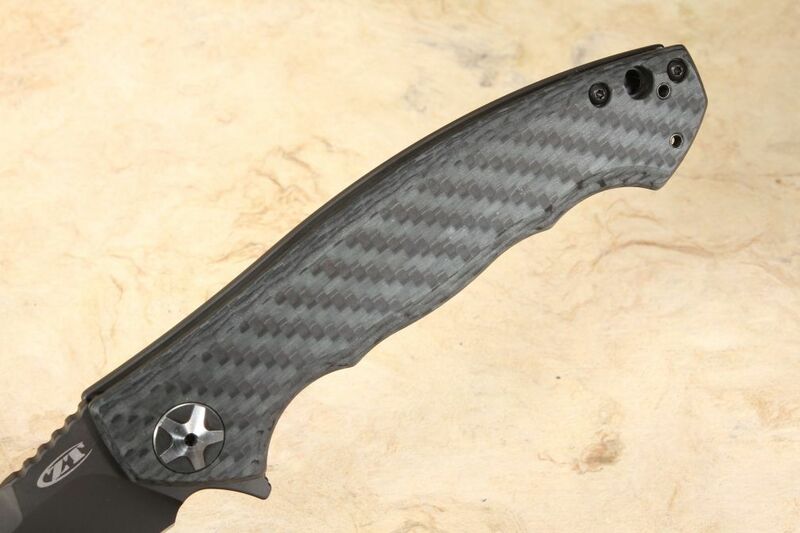 The ZT 0452GL is made with a black, glow in the dark weave carbon fiber front scale with a black DLC coated titanium back, all for an extremely strong yet lightweight handle. The titanium frame-lock system with a hardened steel lock bar insert keeps the frame locking knife securely locked for increased lock life. When the blade is folded, the knife has a length of 5.2 inches. In addition, the handle is made with a lanyard hole, and a reversible, deep carry tip-up clip for securing and carrying the knife on either side. Its total weight is only 4.6 ounces with an overall length of 9.3 inches, making it light, durable, and comfortable to carry and utilize. Overall, the American-made Zero Tolerance 0452GL is a great every day and precision-made knife made with the highest quality and design.